Now at over 90 offices strong and counting, Harcourts Victoria is one of the fastest growing real estate networks within the state. 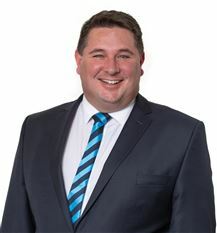 Formed in 2007 following a joint venture with the MPRE real estate group of 21 offices, Harcourts Victoria has tripled its market position over the past five years. Harcourts Victoria now boasts a strong team of sales professionals and auctioneers, a dynamic property management division, and full state support team. Headed by Chief Executive Officer, Sadhana Smiles, Harcourts Victoria is focused on driving growth through the development of the group’s existing businesses by coaching and mentoring its business owners as well as recruiting new talent and offices within the state. Having worked for several major real estate groups in Sydney and Melbourne, Sadhana has a significant track record of success within the Victorian market and is highly respected within the local industry. Under Sadhana’s leadership, Harcourts Victoria will continue to grow and develop as market leaders. The Harcourts Victoria team are committed and passionate about achieving the best possible outcome for their clients and have access to a range of industry-leading marketing, training and technology tools to achieve those outcomes. Emma Gordon embodies the phrase ‘Carpe Diem - Seize the Day’. Upon completion of her VCE Emma undertook a twelve-month real estate traineeship which included the completion of her agent’s representative certificate. During this time, Emma discovered that she had a keen interest in property management. Following the completion of her traineeship she was offered a full time property management position, which is where her career truly began. She then put herself through night school to achieve the full license required to open her own business. Emma was inspired to open a business that’s sole focus was on property management. This was innovative at the time when most property management companies were just the essential add on to the stronger sales focused businesses. At the age of twenty-six she bought her first real estate business and at the age of 28 rebranded to realize her dream of opening an exclusive property management business and opened Gordon & Lloyd property management. She worked under her own brand for eight years then rebranded to Harcourts to take advantage of their industry leading technology. Emma sold her business in 2010 after twelve years to have more time with her family. After taking time out and finding a real work / life balance, she joined Harcourts Victoria’s corporate office in the role of Property Management Operations Manager over seven years ago. As her title suggests, Emma provides property management support to the Harcourts Victorian offices. Indeed, her key responsibilities involve providing support to business owners, property managers and business development managers in various capacities. Emma runs a series of training programmes teaching those that are brand new to property management, right up to those with over 20 years’ experience. She consults to over sixty Harcourts offices and assists with their business planning, recruitment and staffing matters, and helps with advice to refine office procedures so that the property management departments of each branch are more effective, more profitable and achieve growth of their rent role. In addition, Emma manages a helpdesk service for Harcourts property managers to contact with questions or problems. As part of the operations team, she works with other property management operation managers around Australia to enhance the services they deliver to the Harcourts offices and develop new concepts. On a typical work day, she plans training, reviews new training programs or technology platforms for the property management industry, corresponds with the public, assists and visits Harcourts offices to enhance their performance, attends appointments with new contractors, meets with the national team and plans her field visits to the different Harcourts branches. Emma says property management is an often-misunderstood profession. It requires strong negotiation and mediation skills, patience, understanding and empathy. It is a property manager’s responsibility to keep everyone (landlords, tenants and tradespeople) happy. A property manager often finds themselves working in the role of counselor or psychologist, helping to solve people’s problems, or may act as a legal representative if a case goes to VCAT. They meet constant deadlines and work to get great results even when unrealistic expectations are set: “You have to be multi-skilled and multi-connected to get a great outcome”. With such busy days, Emma would be forgiven for wanting to spend her non-working days relaxing and taking it easy. Instead, Emma loves to watch her children play the many sports that they are involved in, including netball, basketball, football, soccer and water polo. When there is time to spare she and her husband love to take the children snow-skiing, camping, to the footy or to the beach. Being with her children dissolves the stress that sometimes results from Emma wanting to do her best for her clients: “To me, family is everything and working in a job that I love gives me great satisfaction. If I have both in my life I’m happy”. Emma sees her position as an immense privilege. She is given the opportunity to share her knowledge to help others to grow better businesses, deliver better service and achieve outstanding results. To be successful in her role, Emma believes you need to love dealing with people, have good communication skills and be passionate about property management. In her view, Harcourts Victoria is noticeable for its supportive environment and strong culture. This leads to open communication and a team spirit where all employees work towards the same goals. As a proud member of the Harcourts Victoria corporate team, Kyrstie believes in delivering a high level and support and assistance to all Harcourts Victoria employees and clients. 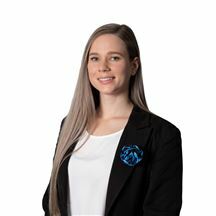 Whilst Kyrstie only joined the corporate team in 2018, she was introduced to the Harcourts family in 2013 where she spent five years at Landmark Harcourts Wangaratta. It was during this time that she developed real enthusiasm and passion for the real estate industry. During her time in the real estate sector, Kyrstie has worked in a range of different capacities, from receptionist/administrator to executive assistant and marketing. A real ‘people person’, Kyrstie found that working with Harcourts provides her the opportunity to interact with people of different cultures, backgrounds and age groups on a day to day basis. As her titles suggests, she provides business operations support, assisting people to navigate Harcourts software or troubleshoot technical problems, and provides ongoing training for all Harcourts apps. Kyrstie is the ‘country girl’ of the team, growing up in the North East but absolutely loves the city life that Melbourne has to offer. Whenever possible, she enjoys spending time with her partner, friends and family and experiencing everything that this beautiful city has to offer. Sharon joined the industry in 1998 in sales support, before joining the MPRE team in 2001 firstly as OA in the Aspendale office and then Executive Assistant to the CEO and Events and Marketing Co-ordinator for the State office. Combining practical experience with her Cert IV Business (Estate Agency Practice) to become a Licensed Estate Agent, Sharon provides huge value to the team as EA to Harcourts Victoria CEO and ensures the smooth running of the State office including events and marketing. Meet Vanessa Maher, business and franchise development manager at Harcourts Victoria. While she does love property, she is fascinated by people. A vinyl record collector, food lover, and mother of two, Vanessa started at Harcourts in March 2014. She was, in a sense, born into the industry, with both parents and a sister working in real-estate and another sister a builder. She worked in the family business for nine years before branching out on her own. She credits her parents for teaching her she could do anything, a philosophy she certainly took seriously when she chose to pursue real-estate, being one of only three women in her course of ninety. 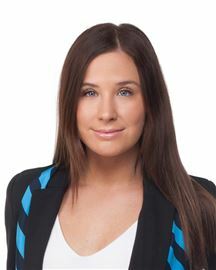 Vanessa works within the Harcourts Victoria corporate team. 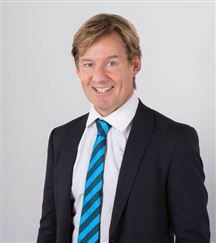 The team are structured and dedicated in their approach, working to ensure that every interaction you have with a Harcourts representative, whether with a salesperson out in the field or an administrative officer, leaves you more successful and closer to your goal than when you started that meeting. On a daily basis, in her capacity as a Business Development Manager, Vanessa helps business owners write annual business plans and checks in with them to ensure they remain aligned with their plan, or to make adjustments if required. Vanessa is very process-driven, which she admits is rare from someone of a sales background. She works with clients on strategy and recruitment, and believes that businesses can be made to perform at a much higher level quite easily by, often only slightly, tweaking the process. Vanessa looks for ‘opportunities to make changes in the industry’. She did this by creating a Certificate IV traineeship program, and has authored a book titled ‘Monitor the Sales Process’. Previously she served on the Business Skills Victoria board for two terms and was an exam writer, assessor and consultant for the Real Estate Institute of Victoria. The role of Franchise Development Manager is a recent ‘new string to her bow’, allowing her love of working with people of different personalities, to shine through. It involves not only scouting for new locations in which to spread the Harcourts brand, but also scouting for new employees who match the Harcourts values. These values of people first, being courageous, doing the right thing, and fun and laughter, were carefully selected to ensure that the culture of Harcourts is first-class. Vanessa loves Melbourne, ‘it’s the best city in the world’, and it's people. Whether she assists you in business, dances with you at a music gig, or dines with you at her favourite restaurant in AC/DC lane, she exudes passion for her job, and for her life. Indeed, her values are typical of the kind of person found in this extraordinary team at Harcourts Victoria. ‘The culture is phenomenal’.